The island has enjoyed decent 3 pct growth for a year thanks to booming exports. But for all Taiwan’s White House fans, U.S. tariffs on China could do collateral damage, even as the mainland tightens screws. It’s bad news for President Tsai as elections loom. 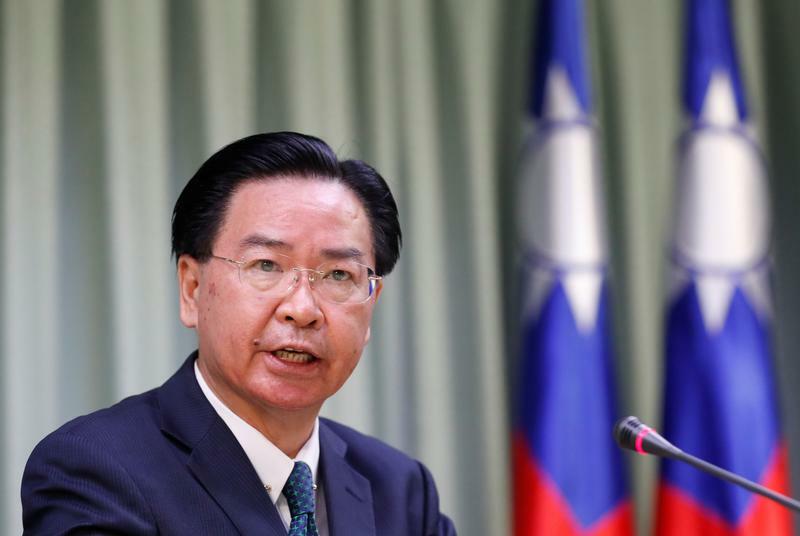 Taiwan's Foreign Minister Joseph Wu attends a news conference, in Taipei, Taiwan August 21, 2018. Taiwan’s economy expanded 3.3 percent in the second quarter from a year earlier, preliminary data from the statistics agency showed on Aug. 17. On Aug. 20 El Salvador's President Salvador Sanchez Ceren announced his government had broken off diplomatic relations with Taiwan and established new ties with China instead. There are 17 countries that still recognise Taiwan.